If you think of the Patriots receiving core what comes to mind are receivers like a Julian Edelman or a Wes Welker. A guy who can run multiple routes and is a quarterback's go-to guy. 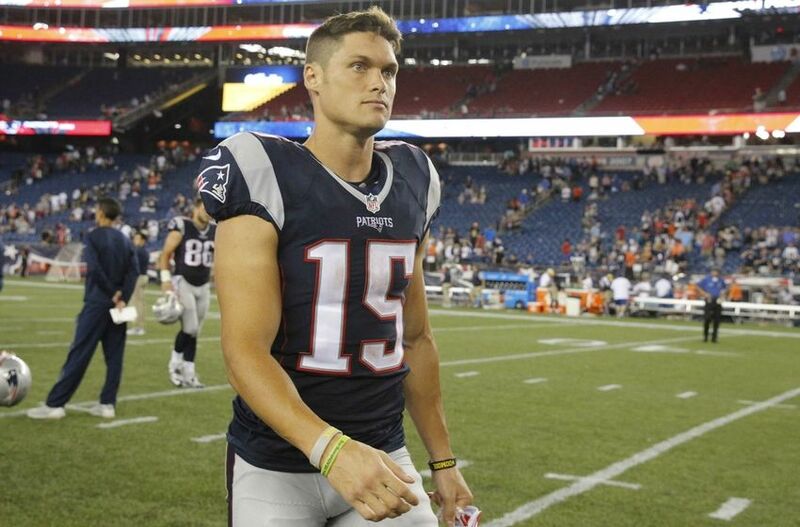 Chris Hogan isn't that but it's what the Patriots need. Hogan who was previously with the Bills was a third or fourth receiver in Buffalo but with the Patriots, he most likely will make the team. Obviously, he is going to be behind Edelman and Amendola on the depth chart but he can fill the role that Brandon LaFell didn't really live up to in the Pats offense. Being 6-foot-1 and 220 pounds Hogan is going to be a huge asset. In 2014 he caught 41 balls and four touchdowns for the Bills and then started 4 games in 2015 catching 36 balls and two touchdowns so he has had some kind of success in the league. This year though his production in almost certainly going to rise because he is going to attract a lot of one-on-one coverage. Most of the attention will be on star tight end duo Rob Gronkowski and Martellus Bennett, so expect big numbers from this guy. We all know Edelman and Amendola are going to be receivers one and two this year but Hogan gives the Pats a different weapon that we haven't seen in a few years.